GoldenLine makes it easier for recruiters to find the right employees and for employees to find their dream jobs. At GoldenLine you can create you online CV in minutes, and receive the best job propositions directly to your mailbox. 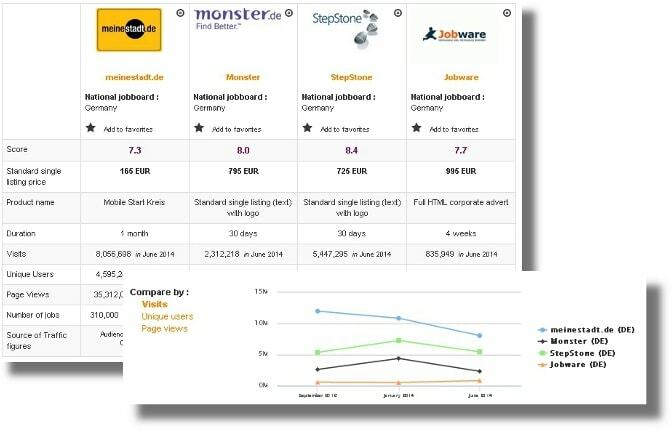 Summary: Goldenline and GrazetaPraca work together to get your job adverts the attention they deserve. Both are affiliations of Agora, which owns most of the media in Poland, be it radio advertising, press releases, websites or film distribution. GoldenLine outshines GrazetaPraca with almost 1 500 followers on Twitter, 65 644 followers on Facebook and 6.5M page visits per month. In a way, GoldenLin is the Polish Linkedin and has 2.6M CVs in its database (apparently). Design: The logo is three people in a circle, very similar to the Google Drive logo from afar. The first homepage is focused on creating an account (even if you can look up jobs without one), and it couldn’t be easier to do so (you can even register with Facebook). Once you have an account, you can look for people, companies or jobs. There’s a “recommended job” section, a “people you may know” section, etc. For recruiters, there is a “for employers” button that leads to costs and more info on adverts. The job offers are listed with the logo, job title and publication date (not time). Each one has a clear page-like layout, and there are also company pages with more details. The job board objective: GoldenLine is more than just a job board: it’s a network of employers, employees, companies and job opportunities. Recruiter observations: You will need to call for more recruiting information. You can purchase job posting space without a consultation, but we don’t recommend it. You can also purchase other advertising space (to advertise the company, for example). Goldenline has a few testimonials on the “about us” page and a list of companies that work with them (including a brief review). As for the company profile pages, the left-hand side has 8 sections: summary, why us, employee opinions, employees, hiring process, job offers, location and news. A backdrop photo and a profile picture (usually the logo) make the page look more appealing. Star ratings (salary, benefits, people, the atmosphere and development opportunities) also help you get a better idea of the company. You can easily get (limited) access to the jobseekers’ profiles (including full names and photos). To create an account, you will need a VAT identification number and some posting options require salary information. Jobseeker observations: You can follow companies that interest you, and leave reviews or read employee comments (which parallel the good and the bad). Even if there are no job offers or you aren’t sure about what is available, you have a handy “I want to work here button” which will forward your information onto the company. When you apply to a job, your application look like a very professional e-mail. When you have a profile, you can build up your contact list, so even if you don’t find a job, you might make a friend. The job offers: The industries with the most jobs are the manufacturing, computing and sales industries, but many others have hundreds of offers too. Filters include the location, industry and language (with the number of jobs in brackets). Reactivity: Automatic messages and a chat box might seem handy, but you have to speak to them directly over the phone to get any real information. It’s a bit weird being able to pay before even designing your advert or even giving any information about your company. Special features: Blog; accessible jobseeker profiles; jobile; following options; company reviews; the forum; “jobs for you” section; posting options; calculator and tools. Verdict: If you want to look through profiles cheaply, go to GoldenLine! 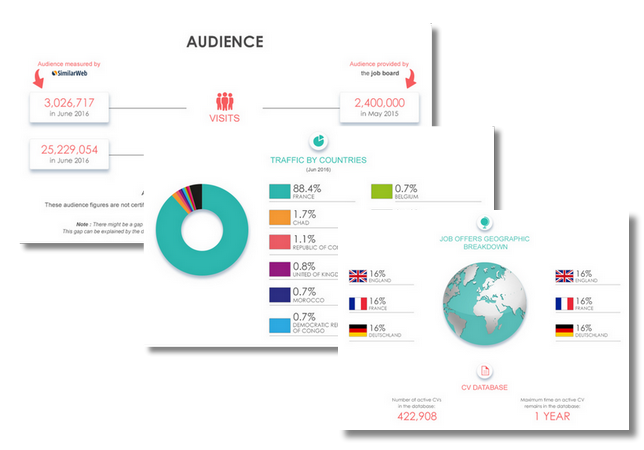 A popular website and a handy tool in the Polish world of recruitment. Login here for FREE to unlock access to the traffic audience, content and pricing section for more information on GoldenLine . Do you know GoldenLine ? Goldenline.pl is an amazing recruitment media in Poland. DO you know Linkedin ? This media is the polish Linkedin. I recommend!